At this point, we all know someone who has run a Kickstarter campaign. Zach Braff famously used the crowdfunding site back in 2013 to finance his independent film project, Wish I Was Here, after Veronica Mars director Rob Thomas successfully raised over $5 million to produce a movie sequel to the popular television show. 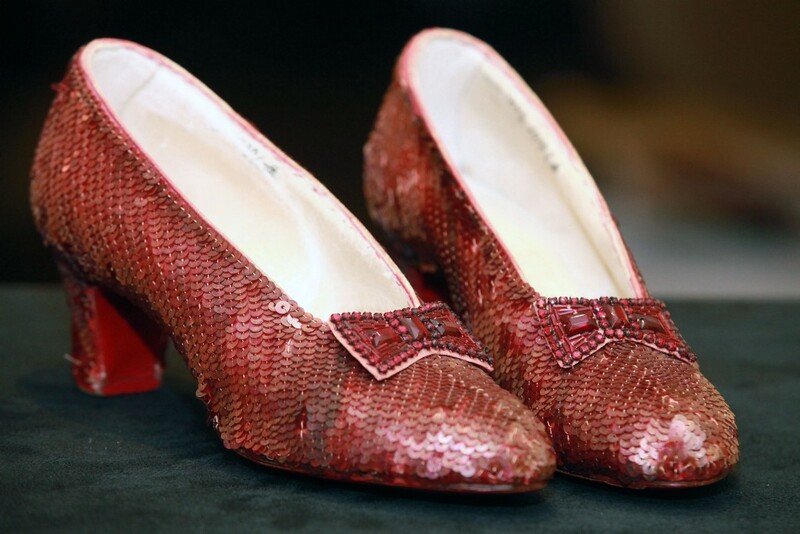 Recently, the Smithsonian Institution jumped on the bandwagon to help fund the repair of Dorothy’s ruby slippers, worn by Judy Garland in the classic 1939 film The Wizard of Oz. This isn’t the Smithsonian’s first foray into crowdfunding: The “world’s largest museum and research complex” previously funded a project to preserve the original spacesuits worn by Neil Armstrong and Alan Shepard during their space missions in the 1960s. The project will prepare the suits for display during a major exhibit celebrating the 50th anniversary of the first moon landing. Now, the Smithsonian is turning its focus to entertainment history and prepping to restore those famous red shoes for the tentatively-titled On With The Show exhibition, opening in 2018. As of Monday, the ruby slipper project had been fully funded, and a “stretch goal” of an additional $85,000 had been set to preserve the Scarecrow’s costume for the same exhibition. What If We Told You The Center Of The Universe Is In Tulsa, Oklahoma? How Much Blood Would A Vampire Really Need To Survive?